The temple is located on the edge of a giant cliff, about 625 meters above sea level in Preah Vihear Province, Northern part of Cambodia, 625km from the capital city of Phnom Penh. 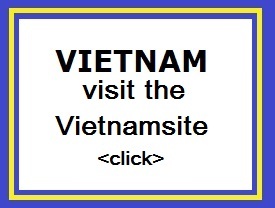 It is also situated close to the Cambodia-Thai border. The temple is a Hindu temple built during the reign of Khmer Empire. At the temple you have a view for many kilometers across a plain. Prasat Preah Vihear has the most spectacular setting of all the temples built during the six-centuries-long Khmer Empire. 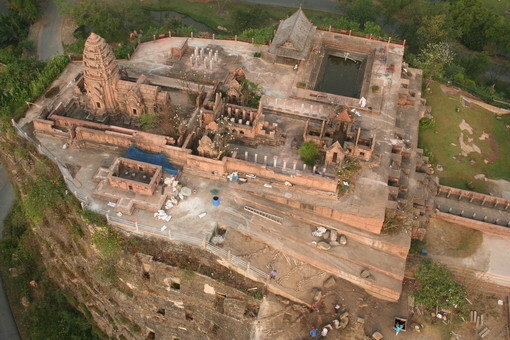 In the early 20th century, Prasat Preah Vihear was rediscovered by the outside world and became subject of an emotional dispute between Thailand and the newly independent Cambodia. In 1904, Siam and the French colonial authorities ruling Cambodia formed a joint commission to demarcate their mutual border. 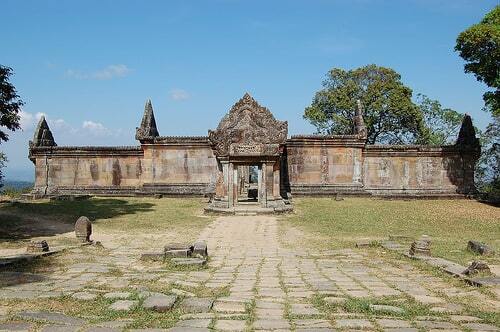 They placed nearly all of Preah Vihear temple on Thailand's side. In 1907, after survey work, French officers drew up a map to show the border’s location. The resulting topographic map showed all of the temple on the Cambodian side in the Preah Vihear area. In 1962, following a lengthy dispute between Thailand and Cambodia over ownership, a majority of the International Court of Justice in The Hague awarded the temple to Cambodia. The temple has four levels and four courtyards which comprise of five Gopuras ( entrance pavilions some times surmounted by tower ). This group of building (Gopuras) was the King's residence when he came to pay homage to the mighty God , and the two wings were the shelters for the pilgrims. The main temple are used for the high-ranking supreme divinities, this mighty group of building is considered as the center of the whole temple complex. The front stone stairway is the main passage is on the North side. The stairway is 8 meters wide and 78 meters long. The fist flight has 162 steps. At the first landing is a large stone singa statue on stone block. Another 54 flight of steps 4 meters wide and 27 meters long leads up to the second landing also decorated with stone singa statue. The Nagaraj Courtyard is stone-paved and 7 meters wide by 31.8 meters long. From here the stairway leads up to the first-level Gropura. The Stairheads are in the form of seven-headed snakes called "Ngu Suang " facing North towards the Prasat. The heads and tails of nagas on both sides look like ordinary snakes, characterizing and early example of this type of animal figures. The head portion of the naga on the west side looks very impressive because it is made from a single solid stone.